A new season of EXHIBITION ON SCREEN by award-winning arts documentary maker Phil Grabsky & Seventh Art Productions will delight art lovers in more than 40 countries across the world. The first film in the new series is simply entitled Matisse from Tate Modern and celebrates the life and work of one of the true giants of modern art. Featuring interviews with experts, including Tate Director Nicholas Serota along with friends and relatives of Matisse, the film also includes rare archive footage of him at work. To coincide with the year’s must-see National Gallery, London and Rijksmuseum, Amsterdam exhibition, Rembrandt: The Late Works, the corresponding EXHIBITION ON SCREEN documentary promises to be a once-in-a-lifetime event in its own right. This film explores each of the exhibition’s key works, through contributions from expert curators and leading art historians. This film seeks to explore the truth about the man behind the legend. Vincent Van Gogh: A New Way Of Seeing is a 90-minute, stunningly detailed tour of the treasures contained in Amsterdam’s Van Gogh Museum and beyond. 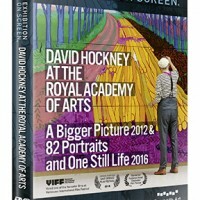 This EXHIBITION ON SCREEN is a brilliant new insight into one of western culture’s most fascinating and beloved artists. 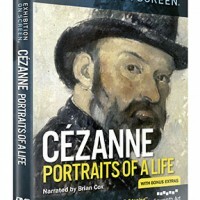 Monet, Cézanne, Degas, Renoir were and still are some of the world’s most popular and influential artists. Their works, and that of their contemporaries, fetch tens of millions of dollars around the globe. But who were they really? Why & how exactly did they paint? What lies behind their enduring appeal? 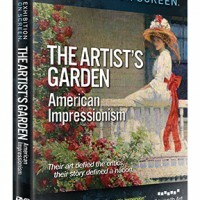 To help answer these questions comes a EXHIBITION ON SCREEN documentary about The Impressionists- an eagerly anticipated international exhibition and quite possibly the most comprehensive exploration of the Impressionists in history. EXHIBITION ON SCREEN has given viewers, for the first time ever, a front row seat to the world’s greatest art in high definition on the big screen.